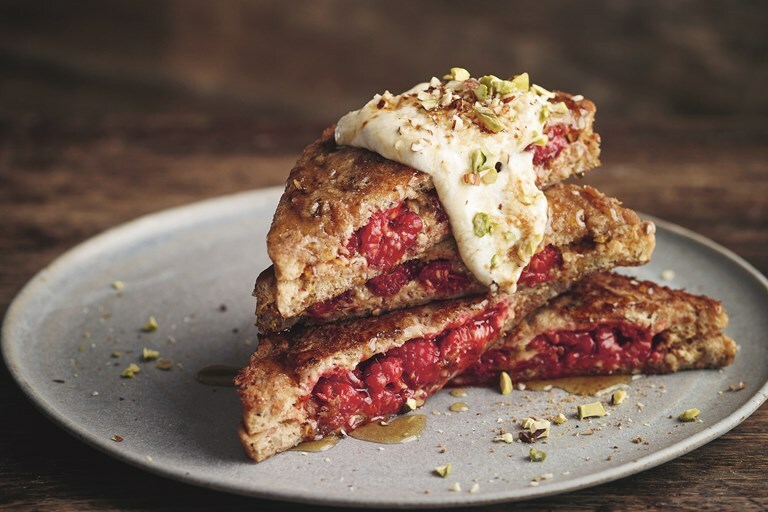 Bettina serves up an alluring vegan French toast recipe, stuffed with almond butter and raspberries for a decadent breakfast or brunch. This recipe is from Happy Food by Bettina Campolucci Bordi, published by Hardie Grant. Images by Nassima Rothacker. French toast was always a very comforting breakfast when I was growing up. Here is a version that includes a spark of freshness from the berries along with some indulgence and creaminess from the nut butter. Bettina was born with a passion for food. Brought up across several cultures by a Norwegian father and Danish-Bulgarian mother, cooking has remained a constant pleasure in Bettina’s life.